Your boyfriend, your husband, your dad, your brother, your best male friend… The men of your life expect their Christmas gifts as much as you expect yours. Do you find it difficult to pick something for them? It-s time to start thinking about it and take a look on what beauty gadgets there are for your boys! 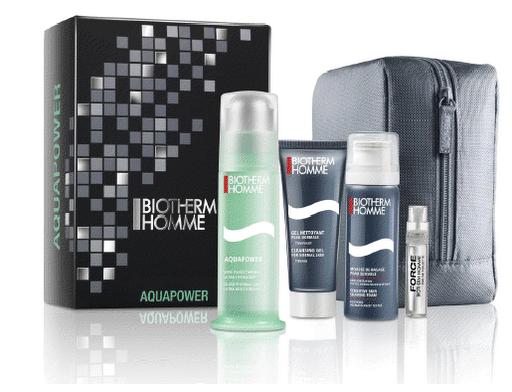 This gift set contains a moisturizer, a cleansing gel, shaving foam and the perfume FORCE in special size. It comes in a beauty case so that your loved ones keep their things organized. As for the cost, it’s reasonable: about 42.37€. 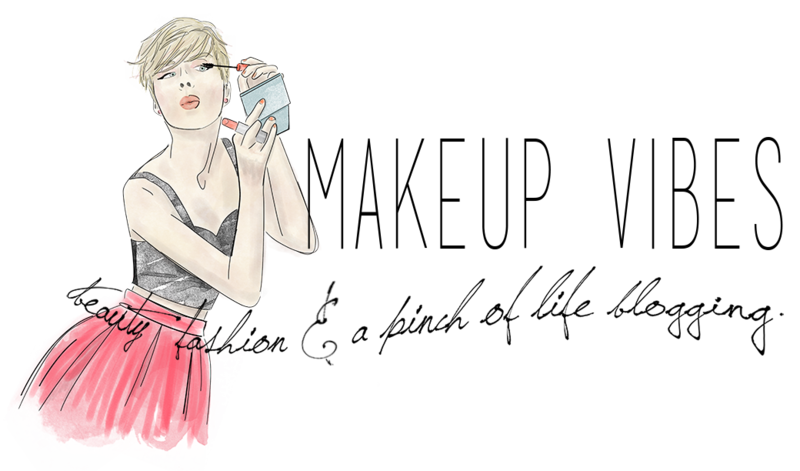 The perfume(60ml) in combination with the deo stick of the same scent. Isn’t the box gorgeous? It will cost you about €58. 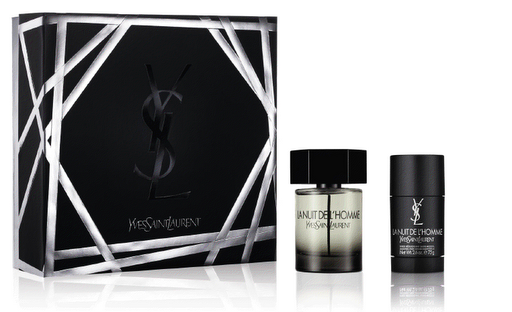 Spending about €58 you can get for your man this coffret. 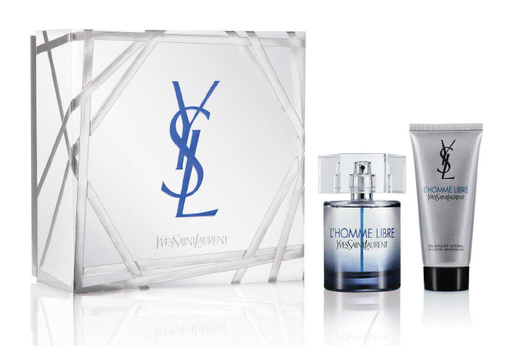 It contains a 60mL sized bottle of the L’Homme Libre fragrance and a shower gel of the same line. Spoil your daddy with this gift and he will these products! I know you can find NYR products in many sites, but I prefere buying them from organicbeauty.gr. I found this gift pack for €47. Not bad for four different products. The kit contains: NYR MEN Rejuvenating Moisturiser 20g, Purifying Face Wash 50ml. Invigorating Body Wash 100ml, Close Shave Cream 50ml. Is your partner/husband/boyfriend a gadget lover? Does he forget his grooming routine and you hate it? Get him the Braun Male Mobile Shave! It’s also great for travellers, as it’s compact and still gives a close shave. I found this one at boots.com for just £17.99. Check it out here! 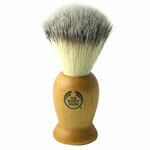 My grandfather always asks us for this kind of shaving brushes! Don’t they remind you of something vintage? I really like them! This one is from The Body Shop and costs about €10 (I think I am not wrong…). Do you offer your boys beauty products or do you go for gadgets, electronics and clothes? Let me know and, of course, tell me if you liked the gift ideas. Δεν είναι όντως τέλεια;;; Κ η μαύρη κ η λευκή! Άσε! Θέλω να το πάρω στον καλό μου κ να κρατήσω το κουτί για μένα!